When you are entertaining a crowd, consider hiring Connecticut’s foremost pig roast caterer: Danny Bell. Danny’s Little Taste of Texas has earned the distinction as Middlesex County’s top pick for pig roast catering. With Danny’s you get top notch customer service, quality food, and entertainment to boot! Enjoy smoky, tender, flavorful, plentiful, unforgettable pig roasts from Danny’s. Guests are always in awe, and the roasting smell makes everyone’s mouth water. Plan a pig roast for your next party and it will be a HIT! Call 860-432-9655. For your next party or event, think about a Danny’s Little Taste of Texas Pig Roast. When you have a DLTOT pig roast, it’s an event in itself. 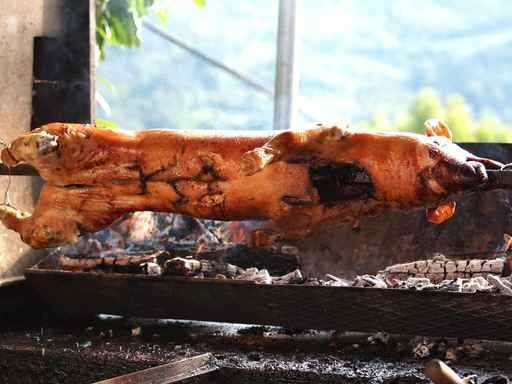 An authentic pig roast is all about slow roasting and smoke. Danny patiently prepares the meat until it is tender and juicy, falling off the bone and melting in your mouth… you get the idea. From one end of Connecticut to another, Danny’s will make your catered event a hit. 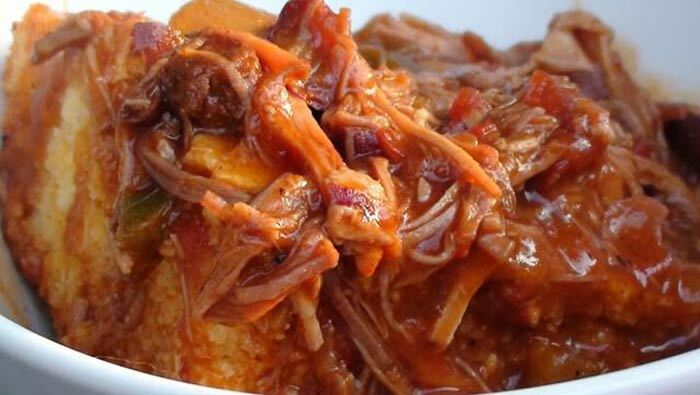 Impress all your hungry guests when you order Danny’s exceptional pig roast catering service. At Danny’s Little Taste of Texas, BBQ catering is what we do. Our Chuck Wagon can handle any size event from 2 to 2000 guests. We Specialize in all Corporate Catering, Shower Catering, Wedding Catering and Graduations Catering or any event that you would like to be catered. Danny’s will make sure your guests have smiles on their faces and they’ll never leave hungry. Danny’s Little Taste of Texas has been serving parties for two decades and we have catered affairs at the largest businesses in the state. We would be honored to serve your next event. We service the whole state of Connecticut, including greater New Haven CT, Hartford CT and surrounding areas. Danny’s Little Taste of Texas is known far and wide for preparing the best barbecue in the northeast! We feature BBQ style catering ‘Texas Style’: dry rubbing, and slow smoking all of our meats. We would love to prepare your next Take Out meal with our amazing smoky meats and authentic Texas sides. Danny’s is famous for catering the best bbq parties, pig roasts, and clam bakes. Now you can order up enough take out ribs for your next party. You will LOVE our food! Call 860-432-9655 today! The next time you are planning a catered event in Enfield CT or greater Hartford County, think of an authentic pig roast from Danny’s. From one end of Connecticut to another, Danny’s will make your catered event a hit. Impress all your hungry guests when you order Danny’s exceptional pig roast catering service. You will never have a better pig roast or barbecue catering in Connecticut than Danny’s Little Taste of Texas. The next time you are planning a catered event, think of Danny’s. From Salisbury to Greenwich, from Stonington to Thompson, your affair will impress all the hungry guests – with Danny’s exceptional catering service.